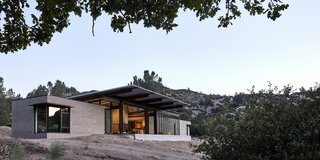 In California, architect Tom Kundig delivers an off-the-grid retreat designed for both connection and solitude. It’s a familiar story. After the kids move out and on to college and careers, their parents decide to pull up stakes. But a question lingers: Where will the family gather for holidays and other events once their longtime residence is sold?